Visit Ancient Greece when you play Gods of Gold Slots. There are 5 reels with Greek gods and goddesses, 25 paylines, and loads of rewarding bonuses and wins! 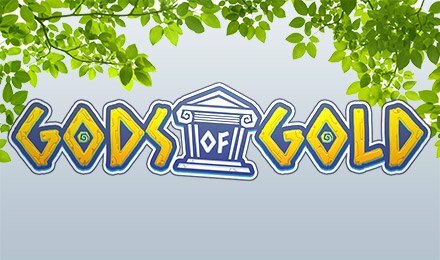 Login and spin Gods of Gold Slots today to enjoy the perfect combination of ancient Greek Mythology, bonuses and wins! There’s a Lightning Wild, which can appear on reel 3, triggering Sticky Wilds and FREE spins, in addition to a regular Wild, and Bonus symbol – when 3 Bonus symbols appear on reels 2-4, the Wheel of Fortune will begin. Gods of Gold Slots also has a progressive jackpot and 94.47% RTP. Good luck!